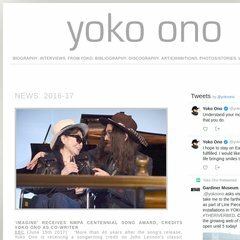 www.A-i-u.net - aiu: a yoko ono website. Topics: A Retrospective Exhibition, and Hold Me". Age: It went live on July 16th 2002, making it over 15 years, 8 months old. ns2.nebula.fi, and ns.nebula.fi are its DNS Nameservers. It is hosted by Nebula Oy. Web Hosting Pri-dns And Streaming. Helsinki, using Apache web server. A-i-u.net's IP address is 217.30.180.39. The server is faster than 68% of measured websites, at 2539 milliseconds. Also a time of 145 ms, is recorded in a ping test.